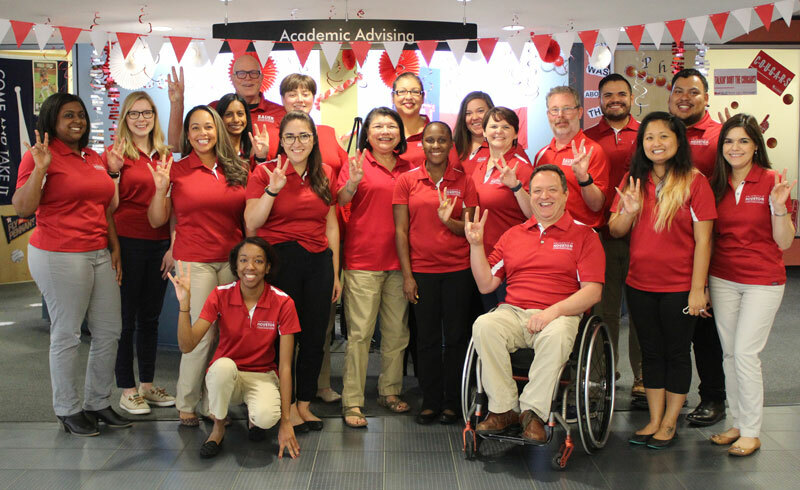 Bauer’s Undergraduate Business Programs and Bauer Honors claimed first place in the 2018 Spirit Bell Competition during the University of Houston’s Homecoming Week. 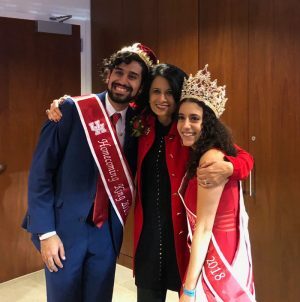 Karim Motani (left) and Alivia Mikahiel (right), along with UH President and UH System Chancellor Renu Khator (center) are crowned Homecoming King and Queen. This year, students and programs from the C. T. Bauer College of Business brought home big wins during the University of Houston’s 72nd Homecoming Week. Four undergraduate Bauer College students were named to Homecoming Court — Michala Padgett, Ashton Connely, Alivia Mikahiel and Karim Motani — with Mikahiel and Motani winning the titles of King and Queen, respectively. The crowning ceremony was held at TDECU Stadium during halftime at the UH vs. Temple game. “I wanted to run for Homecoming Queen because I love the University of Houston and am so thankful for all the opportunities it has given me, and this was the perfect way to show my Cougar Pride,” Mikahiel said. Additionally, during Homecoming Week, faculty and staff had the opportunity to participate in the Spirit Bell Challenge, where they decorate an office space to show off their Cougar Pride. Staff from Bauer’s Undergraduate Business Programs and Bauer Honors took home the first place honor. To see the winning decorations, click here.